This breakfast shake success formula helps you burn fat by taking sugar and bad carbs OUT of the equation for you at breakfast time. Breakfast is the meal that sets your metabolic tone for the day, and you literally can choose whether you burn fat or store fat. When you reduce sugar and carbs in the morning, you program your body to use fat for fuel. Step 2. You need a source of high quality fiber. Fibermend is an ideal option because it tastes great and mixes EASILY. With fiber you want to start low and then slowly increase over time. The deal with fiber is that it helps fill up your stomach, and is also excellent for digestion and helps to improve your natural detoxification processes. The combination of protein and fiber is proven to help you feel full. Increased levels of fiber in the diet are associated with lower levels of heart disease. Step 3. You need a high quality coconut milk like So Delicious. The fat in coconut milk gives you a ton of energy which your body uses. This is the hardest concept for most of us to understand, because we have been conditioned to think that that all fat is bad. Step 4. The first three steps are the most important ingredients in this proven success formula. From here you need to add different flavorings and ingredients- these are usually things that appeal to your tastes and the things you are familiar with. For those of you who understand the power of drinking blended greens, a handful of kale thrown into this mix adds micronutrients that help you feel even more full. And the best part is that people report that you absolutely don't taste anything "green" because of the great vanilla/chocolate flavor combo. There is also some natural sodium from the pea protein, so it is like eating one of those chocolate sea salt bars which are flying off shelves! 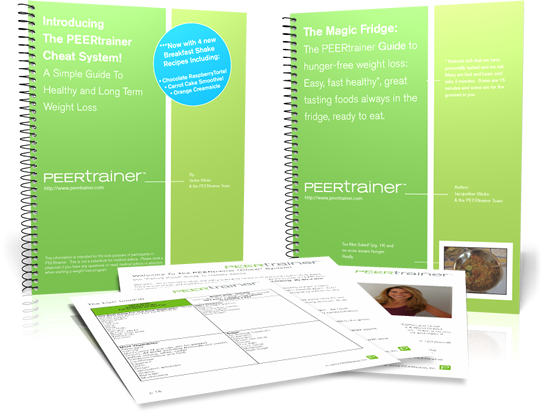 For more great daily content from PEERtrainer, make sure to "Like" our Facebook Page for more recipes of all kinds, and offers.